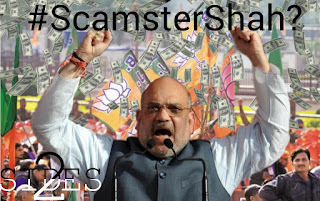 DeMo - An Amit Shah scam? 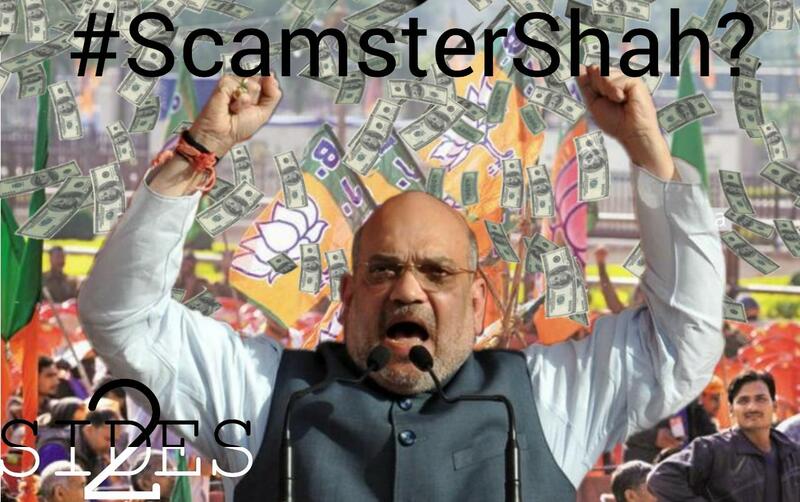 HomeScamDeMo - An Amit Shah scam? On November 8, 2016, Prime Minister Narendra Modi, in an unscheduled live televised address, announced the demonetization of all ₹500 and ₹1,000 banknotes - effectively turning 86% of the notes in circulation to worthless paper. Though its effectiveness continues to be a point of debate, a recent RTI query by a Mumbai activist revealed that Ahmedabad District Cooperative Bank (ADCB) netted the highest deposits of the invalid notes, amounting to 745.59 crores in the five days after demonetisation. On November 14, all DCBs were banned from accepting the demonetised notes on fears that they would be used to launder black money. What makes this fact a political bone of contention is that Amit Shah- National President of the ruling BJP- is a director of ADCB. More than a hundred Indian citizens died in the aftermath of the notebandi fiasco - and the note crunch that followed- trying to get their own hard earned money 'montised' again, and yet the national president's bank had enough of the newly minted money to exchange more than 745 crores of the banned notes in just five days. In comparison, ADCB’s total deposits on March 31, 2017, were Rs 5,050 crore and its net profit for 2016-17 was Rs 14.31 crore. The opposition has maintained that demonetisation has been a scam, and this latest revelation should be the final nail in the coffin for the BJP and their sly scheme for state sanctioned daylight robbery. The second highest amount of demonetised notes were deposited at Rajkot DCB, whose chairman Jayeshbhai Vitthalbhai is another old BJP hand and is a cabinet minister in Gujarat Chief Minister Vijay Rupani’s government. RDCB got deposits of old currencies worth Rs 693.19 crore. The apex Gujarat State Cooperative Bank, in comparison, got deposits of a mere Rs 1.11 crore. It is also worth noting at this point that, post demonetisation, BJP revenue grew by 81% to Rs. 1034 crore, dwarfing the revenue of all other political parties in India combined. These numbers need serious scrutiny by an independent body to bring out any and all dimensions of this multi-faceted largest scam in Indian history. The latest allegations by the opposition regarding the demonetisation money deposited in ADCB is but wilful fake, twisted semi truths with the specific intent of spreading misinformation and suspicion on the spotless BJP government. However, this campaign too, like many others from the Congress cannon, has backfired with India's apex financial institution NABARD (National Bank for Agriculture and Rural Development) itself busting it via a press statement. As per GOI Notification dated 10th Nov 2016, all the DCCBs were allowed to accept the demonetised notes from their customers during the demonetisation. A large number of customers of Ahmedabad DCCB thronged its branches for exchange / deposit of demonetised notes, which is quite in proportion to the size and number of accounts in the bank. Of the total 16 lakh accounts with the DCCB, deposits/ exchanges were made only by 1.60 lakh customers i.e. 9.37% of the total deposit accounts. Of these less then Rs 2.5 lakh were deposited in 98.66 % of the accounts in which deposits/ exchanges were made. Of the total accounts with the bank, it was only in 0.09% accounts where above Rs. 2.5 lakh were deposited. Twisting normal bank activity to look like a scam is but a desperate opposition trying to taint the BJP government, and its developmental agendas, in hues they themselves are familiar with. These are but shameful acts which take the political discourse in the country to new lows.